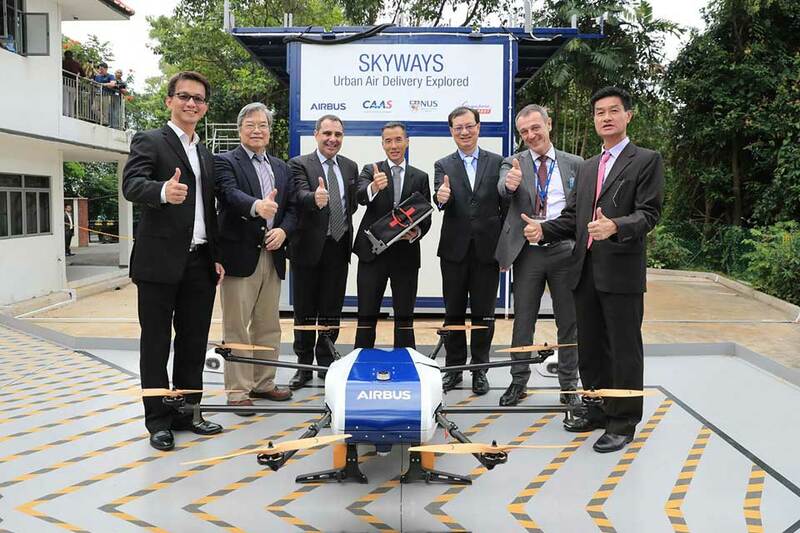 The future of small parcel delivery is no doubt from up above. Amazon has been working hard to realize this and even go as far as pushing a pilot in UK. 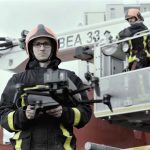 Several other companies, including DHL, has also embarked on the same path and in the case of DHL, an unmanned drone was used to delivery of medicines and such across great length. However, we have yet to see one that is truly adapted to dense urban environment, until now. Meet Skyways, a collaborative project between the National University of Singapore (NUS) and France’s multinational aerospace giant Airbus that differs from the majority in that it is a complete system featuring automatically loading and unloading via a robotic arm. Now that, my friends, is what we call futuristic! 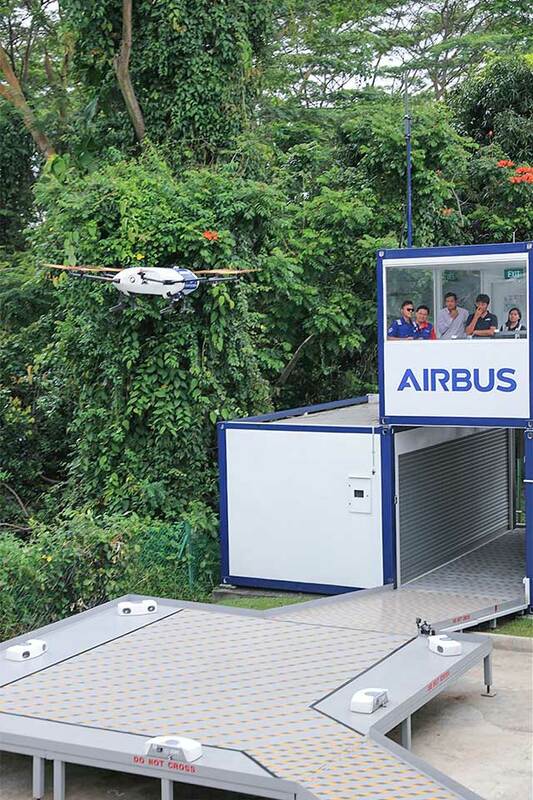 In a press release, Airbus announced at the Singapore Airshow 2018 that it has successfully completed its first Skyways flight demo at the NUS. 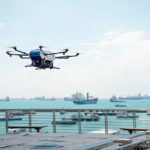 According OPENGOV, the project is now at its advanced stage and it is on track to realizing commercial drone delivery. Though it is not known when it will see real life action. 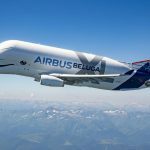 At this point, various tests are already underway with a trial service expected to happen this year (2018). When that happens, campus students and staff of NUS will be able to leverage on Skyways to deliver small parcels of 2-4 kilograms (4.4-8.8 lbs) between designated parcel stations within an area of about the size of 150 football fields, Airbus said. 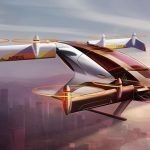 As highlighted earlier, this system differs from what we have seen so far because it involves a suite of system including the octocopter itself, as well as systems and structures that will make systematic landing, docking, and loading and unloading possible. And so, it is not as ‘primitive’, so to speak, as dropping at the lawn, if you know what I mean. 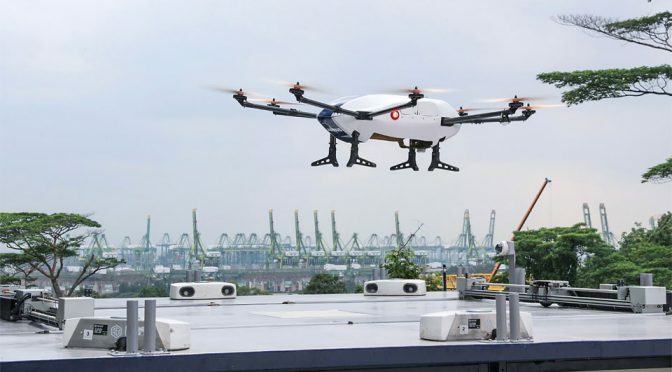 The drone itself is driven by eight rotors and according to Singapore’s national paper, it can even fly with half of the rotors out of commissioned. However, the drone is not ready to brave the storms to make delivery, or at least, it is not for now.